I dont like that kind of sms ok? 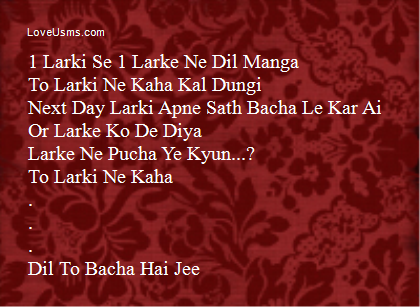 Larke Ne Pucha Ye Kyun…? Boy to Girl: Tum Ro Kyun Rahi Ho…? 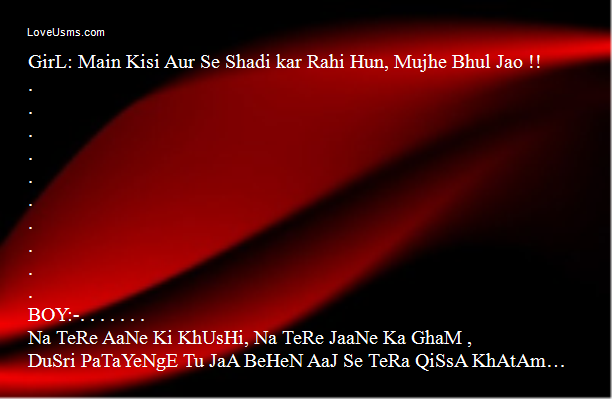 Boy : Kitne Aye Hain…? GirL: Main Kisi Aur Se Shadi kar Rahi Hun, Mujhe Bhul Jao !! BOY:-. . . . . . . Boys r tha most busy generation in the world. 1 leg on break 1 leg on accelerator. Boy: You Are Sunshine of My Life. Without You Life Is Cloudy. You are in My Heart Like Rainy Water for Barren Land. Is it Proposal or Weather Report? Shaadi karni hai to apni girlfriend se karo..
kia khao gi sweet heart? 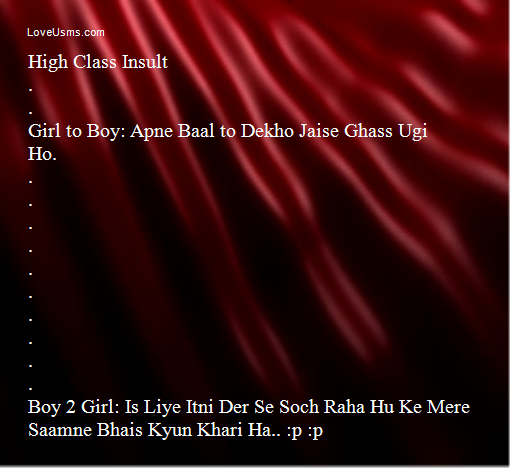 Moral:aur phassao government school ki bachiyaan……….